Xbox VP ignites internet controversy after labelling negative Anthem coverage as "whining"
If you were to sum up the relationship between the press and people of power, the hypothetical Facebook status would probably say "It's Complicated", and a recent tweet from Xbox's Vice-President Mike Ybarra hasn't helped matters. In response to a follow up question from another Twitter user, Ybarra seemed to imply that streamers should be the go-to sources for information about a new game, explaining that "modern reviews should be watching streamers play a game, doing the demo, listening to what your gaming friends think - and if it seems like something you will enjoy then great". Ybarra's words quickly drew a lot of responses from journalists, developers, and gaming fans alike, the majority of which defended the role of 'traditional' reviews and called out his sentiments as being in poor taste. Many felt this was also somewhat inappropriate given that Xbox has signed an exclusive marketing deal with EA for Anthem game's impending release. The general sentiments in response to Ybarra's tweet have, thankfully, been mostly constructive, with many countering his argument by explaining why they still find traditional video game reviews helpful in making decisions as a consumer, even as the rise of streaming (sponsored or otherwise) continues to change the nature of gaming coverage. Others also postulated whether Ybarra is expressing a wider frustration with the media in light of the recent critical response to Crackdown 3, a long-awaited Xbox One exclusive that received majoritively mediocre reviews from mainstream outlets when it released last week. How do you decide which games to buy? We'd love to hear how you decide which games to buy. Where do you seek out information and opinion? How much importance do you place on video game reviews? How much do you value them as a source of information on the latest releases compared to streaming? You can respond in the comments below, or via our tweet on the matter right here. We'll collate the best replies and share them in a future story on the subject once everyone's had their say. 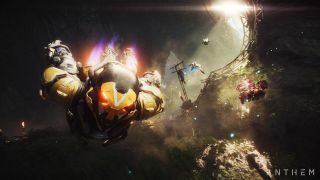 Our Anthem review-in-progress is wrapping up later this week, but give it a read to learn the good and the bad about BioWare's looter shooter so far.